The American University of Rome (commonly referred to as AUR) is a degree-granting American university in Rome, Italy. 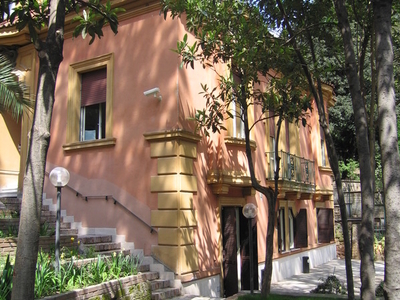 The school was founded in 1969, making it the oldest American degree-granting university in Rome. 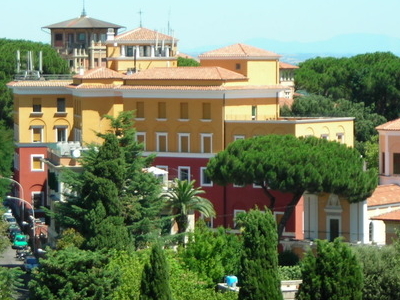 AUR is situated near the center of Rome on the Janiculum hill, and has a total student enrollment of around 500. The language of instruction is English. The campus is located on top of the Janiculum, Rome's highest hill, offering a spectacular view of the city. Most of its buildings are located on Via Pietro Roselli adjacent to a portion of the Aurelian Wall with the Communications Building, commonly known as Carini building, being located on Via Carini, only a short walk. The Carini building, completed in 1970, is one of the works of the Italian architect Paolo Portoghesi called Casa Papanice. The campus includes two gardens centered around the main A and B buildings and the Evans Hall Library. Campus computer facilities are located in Building A, Carini building and Evans Hall Library with WiFi areas extending to both gardens and terraces on campus. Here's the our members favorite photos of "Universities in Rome". 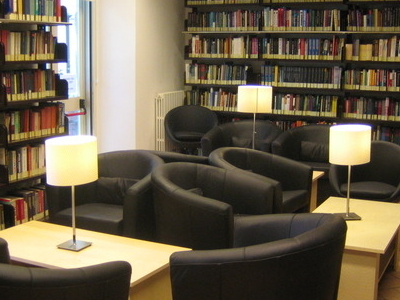 Upload your photo of American University of Rome!